To reduce the development of drug-resistant bacteria and maintain the effectiveness of MAXIPIME® and other antibacterial drugs, MAXIPIME should be used only to treat or prevent infections that are proven or strongly suspected to be caused by bacteria. MAXIPIME for Injection is supplied for intramuscular or intravenous administration in strengths equivalent to 500 mg, 1 g, and 2 g of cefepime. (See DOSAGE AND ADMINISTRATION.) MAXIPIME is a sterile, dry mixture of cefepime hydrochloride and L-arginine. It contains the equivalent of not less than 90 percent and not more than 115 percent of the labeled amount of cefepime (C19H24N6O5S2). The L-arginine, at an approximate concentration of 725 mg/g of cefepime, is added to control the pH of the constituted solution at 4.0–6.0. Freshly constituted solutions of MAXIPIME will range in color from colorless to amber. Cefepime is an antibacterial agent belonging to the cephalosporin class of antibacterials with in vitro antibacterial activity against facultative Gram-positive and Gram-negative bacteria. The average plasma concentrations of cefepime observed in healthy adult male volunteers (n=9) at various times following single 30-minute infusions (IV) of cefepime 500 mg, 1 g, and 2 g are summarized in Table 1. Elimination of cefepime is principally via renal excretion with an average (±SD) half-life of 2.0 (±0.3) hours and total body clearance of 120.0 (±8.0) mL/min in healthy volunteers. Cefepime pharmacokinetics are linear over the range 250 mg to 2 g. There is no evidence of accumulation in healthy adult male volunteers (n=7) receiving clinically relevant doses for a period of 9 days. The average plasma concentrations of cefepime and its derived pharmacokinetic parameters after intravenous (IV) administration are portrayed in Table 1. Following intramuscular (IM) administration, cefepime is completely absorbed. The average plasma concentrations of cefepime at various times following a single intramuscular injection are summarized in Table 2. The pharmacokinetics of cefepime are linear over the range of 500 mg to 2 g intramuscularly and do not vary with respect to treatment duration. The average steady-state volume of distribution of cefepime is 18.0 (±2.0) L. The serum protein binding of cefepime is approximately 20% and is independent of its concentration in serum. Concentrations of cefepime achieved in specific tissues and body fluids are listed in Table 3. Hepatic impairment: The pharmacokinetics of cefepime were unaltered in patients with hepatic impairment who received a single 1 g dose (n=11). Pediatric patients: Cefepime pharmacokinetics have been evaluated in pediatric patients from 2 months to 11 years of age following single and multiple doses on every 8 hours (n=29) and every 12 hours (n=13) schedules. Following a single intravenous dose, total body clearance and the steady-state volume of distribution averaged 3.3 (±1.0) mL/min/kg and 0.3 (±0.1) L/kg, respectively. The urinary recovery of unchanged cefepime was 60.4 (±30.4)% of the administered dose, and the average renal clearance was 2.0 (±1.1) mL/min/kg. There were no significant effects of age or gender (25 male vs 17 female) on total body clearance or volume of distribution, corrected for body weight. No accumulation was seen when cefepime was given at 50 mg per kg every 12 hours (n=13), while Cmax, AUC, and t½ were increased about 15% at steady state after 50 mg per kg every 8 hours. The exposure to cefepime following a 50 mg per kg intravenous dose in a pediatric patient is comparable to that in an adult treated with a 2 g intravenous dose. The absolute bioavailability of cefepime after an intramuscular dose of 50 mg per kg was 82.3 (±15)% in eight patients. Cefepime is a bactericidal agent that acts by inhibition of bacterial cell wall synthesis. Cefepime has a broad spectrum of in vitro activity that encompasses a wide range of Gram-positive and Gram-negative bacteria. Cefepime has a low affinity for chromosomally-encoded beta-lactamases. Cefepime is highly resistant to hydrolysis by most beta-lactamases and exhibits rapid penetration into Gram-negative bacterial cells. Within bacterial cells, the molecular targets of cefepime are the penicillin binding proteins (PBP). Cefepime has been shown to be active against most isolates of the following microorganisms, both in vitro and in clinical infections as described in the INDICATIONS AND USAGE section. The following in vitro data are available, but their clinical significance is unknown. Cefepime has been shown to have in vitro activity against most isolates of the following microorganisms; however, the safety and effectiveness of cefepime in treating clinical infections due to these microorganisms have not been established in adequate and well-controlled trials. NOTE: Most isolates of enterococci, eg, Enterococcus faecalis, and methicillin-resistant staphylococci are resistant to cefepime. NOTE: Cefepime is inactive against many isolates of Stenotrophomonas (formerly Xanthomonas maltophilia and Pseudomonas maltophilia). NOTE: Cefepime is inactive against most isolates of Clostridium difficile. *NOTE: Isolates from these species should be tested for susceptibility using specialized dilution testing methods.1 Also, isolates of Haemophilus spp. with MICs greater than 2 mcg/mL should be considered equivocal and should be further evaluated. Quantitative methods that require measurement of zone diameters also provide reproducible estimates of the susceptibility of bacteria to antimicrobial compounds. One such standardized procedure2 requires the use of standardized inoculum concentrations. This procedure uses paper disks impregnated with 30 mcg of cefepime to test the susceptibility of microorganisms to cefepime. Interpretation is identical to that stated above for results using dilution techniques. *NOTE: Isolates from these species should be tested for susceptibility using specialized diffusion testing methods.2 Isolates of Haemophilus spp. with zones smaller than 26 mm should be considered equivocal and should be further evaluated. Isolates of S. pneumoniae should be tested against a 1-mcg oxacillin disk; isolates with oxacillin zone sizes larger than or equal to 20 mm may be considered susceptible to cefepime. Pneumonia (moderate to severe) caused by Streptococcus pneumoniae, including cases associated with concurrent bacteremia, Pseudomonas aeruginosa, Klebsiella pneumoniae, or Enterobacter species. Uncomplicated and Complicated Urinary Tract Infections (including pyelonephritis) caused by Escherichia coli or Klebsiella pneumoniae, when the infection is severe, or caused by Escherichia coli, Klebsiella pneumoniae, or Proteus mirabilis, when the infection is mild to moderate, including cases associated with concurrent bacteremia with these microorganisms. Uncomplicated Skin and Skin Structure Infections caused by Staphylococcus aureus (methicillin-susceptible strains only) or Streptococcus pyogenes. To reduce the development of drug-resistant bacteria and maintain the effectiveness of MAXIPIME and other antibacterial drugs, MAXIPIME should be used only to treat or prevent infections that are proven or strongly suspected to be caused by susceptible bacteria. When culture and susceptibility information are available, they should be considered in selecting or modifying antibacterial therapy. In the absence of such data, local epidemiology and susceptibility patterns may contribute to the empiric selection of therapy. The safety and efficacy of empiric cefepime monotherapy of febrile neutropenic patients have been assessed in two multicenter, randomized trials comparing cefepime monotherapy (at a dose of 2 g intravenously every 8 hours) to ceftazidime monotherapy (at a dose of 2 g intravenously every 8 hours). These studies comprised 317 evaluable patients. Table 8 describes the characteristics of the evaluable patient population. Table 9 describes the clinical response rates observed. For all outcome measures, cefepime was therapeutically equivalent to ceftazidime. Patients hospitalized with complicated intra-abdominal infections participated in a randomized, double-blind, multicenter trial comparing the combination of cefepime (2 g every 12 hours) plus intravenous metronidazole (500 mg every 6 hours) versus imipenem/cilastatin (500 mg every 6 hours) for a maximum duration of 14 days of therapy. The study was designed to demonstrate equivalence of the two therapies. The primary analyses were conducted on the protocol-valid population, which consisted of those with a surgically confirmed complicated infection, at least one pathogen isolated pretreatment, at least 5 days of treatment, and a 4 to 6 week follow-up assessment for cured patients. Subjects in the imipenem/cilastatin arm had higher APACHE II scores at baseline. The treatment groups were otherwise generally comparable with regard to their pretreatment characteristics. The overall clinical cure rate among the protocol-valid patients was 81% (51 cured/63 evaluable patients) in the cefepime plus metronidazole group and 66% (62/94) in the imipenem/cilastatin group. The observed differences in efficacy may have been due to a greater proportion of patients with high APACHE II scores in the imipenem/cilastatin group. BEFORE THERAPY WITH MAXIPIME FOR INJECTION IS INSTITUTED, CAREFUL INQUIRY SHOULD BE MADE TO DETERMINE WHETHER THE PATIENT HAS HAD PREVIOUS IMMEDIATE HYPERSENSITIVITY REACTIONS TO CEFEPIME, CEPHALOSPORINS, PENICILLINS, OR OTHER DRUGS. IF THIS PRODUCT IS TO BE GIVEN TO PENICILLIN-SENSITIVE PATIENTS, CAUTION SHOULD BE EXERCISED BECAUSE CROSS-HYPERSENSITIVITY AMONG BETA-LACTAM ANTIBIOTICS HAS BEEN CLEARLY DOCUMENTED AND MAY OCCUR IN UP TO 10% OF PATIENTS WITH A HISTORY OF PENICILLIN ALLERGY. IF AN ALLERGIC REACTION TO MAXIPIME OCCURS, DISCONTINUE THE DRUG. SERIOUS ACUTE HYPERSENSITIVITY REACTIONS MAY REQUIRE TREATMENT WITH EPINEPHRINE AND OTHER EMERGENCY MEASURES INCLUDING OXYGEN, CORTICOSTEROIDS, INTRAVENOUS FLUIDS, INTRAVENOUS ANTIHISTAMINES, PRESSOR AMINES, AND AIRWAY MANAGEMENT, AS CLINICALLY INDICATED. In patients with creatinine clearance less than or equal to 60 mL/min, the dose of MAXIPIME (cefepime hydrochloride) should be adjusted to compensate for the slower rate of renal elimination. Because high and prolonged serum antibiotic concentrations can occur from usual dosages in patients with renal impairment or other conditions that may compromise renal function, the maintenance dosage should be reduced when cefepime is administered to such patients. Continued dosage should be determined by degree of renal impairment, severity of infection, and susceptibility of the causative organisms. 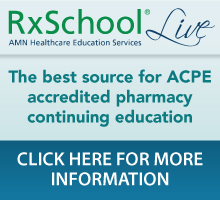 (See specific recommendations for dosing adjustment in DOSAGE AND ADMINISTRATION.) During postmarketing surveillance, serious adverse events have been reported including life-threatening or fatal occurrences of the following: encephalopathy (disturbance of consciousness including confusion, hallucinations, stupor, and coma), myoclonus, seizures, and non-convulsive status epilepticus (see ADVERSE REACTIONS: Postmarketing Experience). Most cases occurred in patients with renal impairment who received doses of cefepime that exceeded the recommended dosage schedules. However, some cases of encephalopathy occurred in patients receiving a dosage adjustment for their renal function. In the majority of cases, symptoms of neurotoxicity were reversible and resolved after discontinuation of cefepime and/or after hemodialysis. Prescribing MAXIPIME in the absence of a proven or strongly suspected bacterial infection or a prophylactic indication is unlikely to provide benefit to the patient and increases the risk of the development of drug-resistant bacteria. As with other antimicrobials, prolonged use of MAXIPIME may result in overgrowth of nonsusceptible microorganisms. Repeated evaluation of the patient’s condition is essential. Should superinfection occur during therapy, appropriate measures should be taken. Positive direct Coombs’ tests have been reported during treatment with MAXIPIME. In hematologic studies or in transfusion cross-matching procedures when antiglobulin tests are performed on the minor side or in Coombs’ testing of newborns whose mothers have received cephalosporin antibiotics before parturition, it should be recognized that a positive Coombs’ test may be due to the drug. MAXIPIME (cefepime hydrochloride) should be prescribed with caution in individuals with a history of gastrointestinal disease, particularly colitis. Arginine has been shown to alter glucose metabolism and elevate serum potassium transiently when administered at 33 times the amount provided by the maximum recommended human dose of MAXIPIME. The effect of lower doses is not presently known. Before therapy with MAXIPIME is instituted, careful inquiry should be made to determine whether the patient has had previous immediate hypersensitivity reactions to cefepime, cephalosporins, penicillins, or other drugs. Exercise caution if this product is to be given to penicillin-sensitive patients because cross-hypersensitivity among beta-lactam antibiotics has been clearly documented and may occur in up to 10% of patients with a history of penicillin allergy. If an allergic reaction to MAXIPIME occurs, discontinue the drug. Serious acute hypersensitivity reactions may require treatment with epinephrine and other emergency measures including oxygen, corticosteroids, intravenous fluids, intravenous antihistamines, pressor amines, and airway management, as clinically indicated. Patients should be counseled that antibacterial drugs including MAXIPIME should only be used to treat bacterial infections. They do not treat viral infections (eg, the common cold). When MAXIPIME is prescribed to treat a bacterial infection, patients should be told that although it is common to feel better early in the course of therapy, the medication should be taken exactly as directed. Skipping doses or not completing the full course of therapy may (1) decrease the effectiveness of the immediate treatment and (2) increase the likelihood that bacteria will develop resistance and will not be treatable by MAXIPIME or other antibacterial drugs in the future. Patients should be advised of neurological adverse events that could occur with MAXIPIME use. Patients should be instructed to inform their healthcare provider at once of any neurological signs and symptoms, including encephalopathy (disturbance of consciousness including confusion, hallucinations, stupor, and coma), myoclonus, seizures, and non-convulsive status epilepticus, for immediate treatment, dosage adjustment, or discontinuation of MAXIPIME. Renal function should be monitored carefully if high doses of aminoglycosides are to be administered with MAXIPIME because of the increased potential of nephrotoxicity and ototoxicity of aminoglycoside antibiotics. Nephrotoxicity has been reported following concomitant administration of other cephalosporins with potent diuretics such as furosemide. The administration of cefepime may result in a false-positive reaction for glucose in the urine when using Clinitest® tablets. It is recommended that glucose tests based on enzymatic glucose oxidase reactions (such as Clinistix®) be used. No animal carcinogenicity studies have been conducted with cefepime. In chromosomal aberration studies, cefepime was positive for clastogenicity in primary human lymphocytes, but negative in Chinese hamster ovary cells. In other in vitro assays (bacterial and mammalian cell mutation, DNA repair in primary rat hepatocytes, and sister chromatid exchange in human lymphocytes), cefepime was negative for genotoxic effects. Moreover, in vivo assessments of cefepime in mice (2 chromosomal aberration and 2 micronucleus studies) were negative for clastogenicity. No untoward effects on fertility were observed in rats when cefepime was administered subcutaneously at doses up to 1000 mg/kg/day (1.6 times the recommended maximum human dose calculated on a mg/m2 basis). Cefepime was not teratogenic or embryocidal when administered during the period of organogenesis to rats at doses up to 1000 mg/kg/day (1.6 times the recommended maximum human dose calculated on a mg/m2 basis) or to mice at doses up to 1200 mg/kg (approximately equal to the recommended maximum human dose calculated on a mg/m2 basis) or to rabbits at a dose level of 100 mg/kg (0.3 times the recommended maximum human dose calculated on a mg/m2 basis). There are, however, no adequate and well-controlled studies of cefepime use in pregnant women. Because animal reproduction studies are not always predictive of human response, this drug should be used during pregnancy only if clearly needed. Cefepime is excreted in human breast milk in very low concentrations (0.5 mcg/mL). Caution should be exercised when cefepime is administered to a nursing woman. The safety and effectiveness of cefepime in the treatment of uncomplicated and complicated urinary tract infections (including pyelonephritis), uncomplicated skin and skin structure infections, pneumonia, and as empiric therapy for febrile neutropenic patients have been established in the age groups 2 months up to 16 years. Use of MAXIPIME in these age groups is supported by evidence from adequate and well-controlled studies of cefepime in adults with additional pharmacokinetic and safety data from pediatric trials (see CLINICAL PHARMACOLOGY). Safety and effectiveness in pediatric patients below the age of 2 months have not been established. There are insufficient clinical data to support the use of MAXIPIME in pediatric patients under 2 months of age or for the treatment of serious infections in the pediatric population where the suspected or proven pathogen is Haemophilus influenzae type b. IN THOSE PATIENTS IN WHOM MENINGEAL SEEDING FROM A DISTANT INFECTION SITE OR IN WHOM MENINGITIS IS SUSPECTED OR DOCUMENTED, AN ALTERNATE AGENT WITH DEMONSTRATED CLINICAL EFFICACY IN THIS SETTING SHOULD BE USED. Of the more than 6400 adults treated with MAXIPIME in clinical studies, 35% were 65 years or older while 16% were 75 years or older. When geriatric patients received the usual recommended adult dose, clinical efficacy and safety were comparable to clinical efficacy and safety in nongeriatric adult patients. In clinical trials using multiple doses of cefepime, 4137 patients were treated with the recommended dosages of cefepime (500 mg to 2 g intravenous every 12 hours). There were no deaths or permanent disabilities thought related to drug toxicity. Sixty-four (1.5%) patients discontinued medication due to adverse events thought by the investigators to be possibly, probably, or almost certainly related to drug toxicity. Thirty-three (51%) of these 64 patients who discontinued therapy did so because of rash. The percentage of cefepime-treated patients who discontinued study drug because of drug-related adverse events was very similar at daily doses of 500 mg, 1 g, and 2 g every 12 hours (0.8%, 1.1%, and 2.0%, respectively). However, the incidence of discontinuation due to rash increased with the higher recommended doses. The following adverse events were thought to be probably related to cefepime during evaluation of the drug in clinical trials conducted in North America (n=3125 cefepime-treated patients). * Local reactions, irrespective of relationship to cefepime in those patients who received intravenous infusion (n=3048). At the higher dose of 2 g every 8 hours, the incidence of probably-related adverse events was higher among the 795 patients who received this dose of cefepime. They consisted of rash (4%), diarrhea (3%), nausea (2%), vomiting (1%), pruritus (1%), fever (1%), and headache (1%). The following adverse laboratory changes, irrespective of relationship to therapy with cefepime, were seen during clinical trials conducted in North America. A similar safety profile was seen in clinical trials of pediatric patients (see PRECAUTIONS: Pediatric Use). In addition to the events reported during North American clinical trials with cefepime, the following adverse experiences have been reported during worldwide postmarketing experience. If seizures associated with drug therapy occur, the drug should be discontinued. Anticonvulsant therapy can be given if clinically indicated. Precautions should be taken to adjust daily dosage in patients with renal insufficiency or other conditions that may compromise renal function to reduce antibiotic concentrations that can lead or contribute to these and other serious adverse events, including renal failure. As with other cephalosporins, anaphylaxis including anaphylactic shock, transient leukopenia, neutropenia, agranulocytosis and thrombocytopenia have been reported. The recommended adult and pediatric dosages and routes of administration are outlined in the following table. MAXIPIME should be administered intravenously over approximately 30 minutes. **or until resolution of neutropenia. In patients whose fever resolves but who remain neutropenic for more than 7 days, the need for continued antimicrobial therapy should be re-evaluated frequently. ***Intramuscular route of administration is indicated only for mild to moderate, uncomplicated or complicated UTIs due to E. coli when the intramuscular route is considered to be a more appropriate route of drug administration. No adjustment is necessary for patients with hepatic impairment. In patients with creatinine clearance less than or equal to 60 mL/min, the dose of MAXIPIME should be adjusted to compensate for the slower rate of renal elimination. The recommended initial dose of MAXIPIME should be the same as in patients with normal renal function except in patients undergoing hemodialysis. The recommended doses of MAXIPIME in patients with renal impairment are presented in Table 13. *On hemodialysis days, cefepime should be administered following hemodialysis. Whenever possible, cefepime should be administered at the same time each day. In patients undergoing continuous ambulatory peritoneal dialysis, MAXIPIME may be administered at normally recommended doses at a dosage interval of every 48 hours (see Table 13). In patients undergoing hemodialysis, approximately 68% of the total amount of cefepime present in the body at the start of dialysis will be removed during a 3-hour dialysis period. The dosage of MAXIPIME for hemodialysis patients is 1 g on Day 1 followed by 500 mg every 24 hours for the treatment of all infections except febrile neutropenia, which is 1 g every 24 hours. MAXIPIME should be administered at the same time each day and following the completion of hemodialysis on hemodialysis days (see Table 13). Data in pediatric patients with impaired renal function are not available; however, since cefepime pharmacokinetics are similar in adults and pediatric patients (see CLINICAL PHARMACOLOGY), changes in the dosing regimen proportional to those in adults (see Tables 12 and 13) are recommended for pediatric patients. For Intravenous Infusion, constitute the 500 mg, 1 g, or 2 g vial, and add an appropriate quantity of the resulting solution to an intravenous container with one of the compatible intravenous fluids listed in the Compatibility and Stability subsection. THE RESULTING SOLUTION SHOULD BE ADMINISTERED OVER APPROXIMATELY 30 MINUTES. Intramuscular Administration: For intramuscular administration, MAXIPIME (cefepime hydrochloride) should be constituted with one of the following diluents: Sterile Water for Injection, 0.9% Sodium Chloride, 5% Dextrose Injection, 0.5% or 1.0% Lidocaine Hydrochloride, or Sterile Bacteriostatic Water for Injection with Parabens or Benzyl Alcohol (refer to Table 14). Preparation of MAXIPIME solutions is summarized in Table 14. Intravenous: MAXIPIME is compatible at concentrations between 1 mg per mL and 40 mg per mL with the following intravenous infusion fluids: 0.9% Sodium Chloride Injection, 5% and 10% Dextrose Injection, M/6 Sodium Lactate Injection, 5% Dextrose and 0.9% Sodium Chloride Injection, Lactated Ringers and 5% Dextrose Injection, Normosol-R™, and Normosol-M™ in 5% Dextrose Injection. These solutions may be stored up to 24 hours at controlled room temperature 20°–25°C (68°–77°F) or 7 days in a refrigerator 2°–8°C (36°–46°F). MAXIPIME in ADD-Vantage® vials is stable at concentrations of 10–40 mg per mL in 5% Dextrose Injection or 0.9% Sodium Chloride Injection for 24 hours at controlled room temperature 20°–25°C or 7 days in a refrigerator 2°–8°C. MAXIPIME admixture compatibility information is summarized in Table 15. Solutions of MAXIPIME, like those of most beta-lactam antibiotics, should not be added to solutions of ampicillin at a concentration greater than 40 mg per mL, and should not be added to metronidazole, vancomycin, gentamicin, tobramycin, netilmicin sulfate, or aminophylline because of potential interaction. However, if concurrent therapy with MAXIPIME is indicated, each of these antibiotics can be administered separately. Intramuscular: MAXIPIME (cefepime hydrochloride) constituted as directed is stable for 24 hours at controlled room temperature 20°–25°C (68°–77°F) or for 7 days in a refrigerator 2°–8°C (36°–46°F) with the following diluents: Sterile Water for Injection, 0.9% Sodium Chloride Injection, 5% Dextrose Injection, Sterile Bacteriostatic Water for Injection with Parabens or Benzyl Alcohol, or 0.5% or 1% Lidocaine Hydrochloride. NOTE: PARENTERAL DRUGS SHOULD BE INSPECTED VISUALLY FOR PARTICULATE MATTER BEFORE ADMINISTRATION. As with other cephalosporins, the color of MAXIPIME powder, as well as its solutions, tend to darken depending on storage conditions; however, when stored as recommended, the product potency is not adversely affected. MAXIPIME IN THE DRY STATE SHOULD BE STORED BETWEEN 2°–25°C (36°–77°F) AND PROTECTED FROM LIGHT. National Committee for Clinical Laboratory Standards. Methods for Dilution Antimicrobial Susceptibility Tests for Bacteria that Grow Aerobically—Third Edition. Approved Standard NCCLS Document M7-A3, Vol. 13, No. 25, NCCLS, Villanova, PA, December 1993. National Committee for Clinical Laboratory Standards. Performance Standards for Antimicrobial Disk Susceptibility Tests—Fifth Edition. Approved Standard NCCLS Document M2-A5, Vol. 13, No. 24, NCCLS, Villanova, PA, December 1993. MAXIPIME® is a registered trademark of Bristol-Myers Squibb Company licensed exclusively in the US to EPI. ADD-Vantage® and Aminosyn® are registered trademarks of Hospira, Inc.
Normosol-R™ and Normosol-M™ are trademarks of Hospira, Inc.
Inpersol™ is a trademark of Fresenius USA, Inc.
Clinistix® is a registered trademark of Bayer HealthCare LLC. See How Supplied section for a complete list of available packages of MAXIPIME. For IV or IM use after constitution.